Marino’s powerful story is not only about his incredible success in the NFL but also about raising a son with autism and his contribution to the special needs community. Dan Marino is one of the most prolific passing quarterbacks in NFL history. Marino was a first-round draft pick by the Dolphins in 1983 and holds 25 NFL regular season records. He is tied for five others after a 17-year career with the Miami Dolphins. Marino currently lives in South Florida with his wife and their six children and was inducted into the Pro Football Hall of Fame on August 7, 2005. PFP Sports & Celebrity Talent Agency is a top booking agent for motivational sports speakers and celebrities. 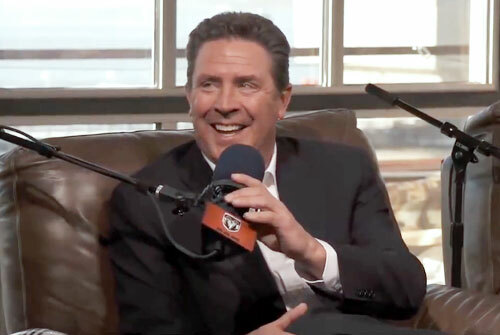 If you would like to book NFL stars like Dan Marino for a speaking engagement, personal appearance or special event, you can request Dan Marino agent and speaker information from PFP Sports & Celebrity Talent or call 800.966.1380.